4th Jan, Miao, (Chowkham): The Diocese of Miao expresses its deepest grief at the untimely demise of Mr. Chow Athitewa Denis Namchoom, a young and vibrant Catholic from Chongkam village under Namsai Parish. 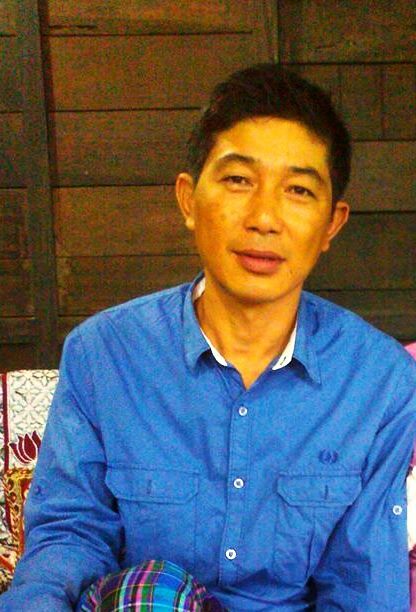 Mr. Chow Athitewa Denis Namchoom, who was the Secretary of the Newman Educational Society, the educational wing of the Diocese of Miao, was was born on 16th September 1973. He did his primary studies in the Government Higher Secondary School, Chongkam, Bosco Bible School, Tinsukia, and completed his Graduation from Rajiv Gandhi University Rono Hill, Doimukh, Itanagar. In the year 1988 at Bosco Bible School Tinsukia, he received Baptism from the then Bishop of Dibrugarh Rt. Rev. Thomas Menamparapil and received the name Denis. He has been instrumental for establishing Christian presence in Chongkam area and it is he who donated his land in Gunanagar, Chongkam, where St. Alphonsa School stands. He was working as a teacher at Govt. Middle School, Chongkam. On 24th December 2013, at 5 a.m he went to washroom and on returning he complained of feeling giddy and started vomiting. Slowly he became unconscious. He was taken to a hospital at Dibrugarh and was in the ICU. But his condition became worse. On 27th December at 3.30 pm he breathed his last. He is survived by his wife Nang Atong and three children.